Naval warfare entailed a commitment of resources which was often greater than that required for warfare on land. The failure of Philip II’s huge and costly attempt to mount an invasion of England in the summer of 1588, and of subsequent expeditions, both Spanish and English, demonstrate the limits of sixteenth-century seapower. Warships provided effective mobile artillery platforms, and an individual vessel might carry the heavy firepower capacity comparable to that of an entire army. 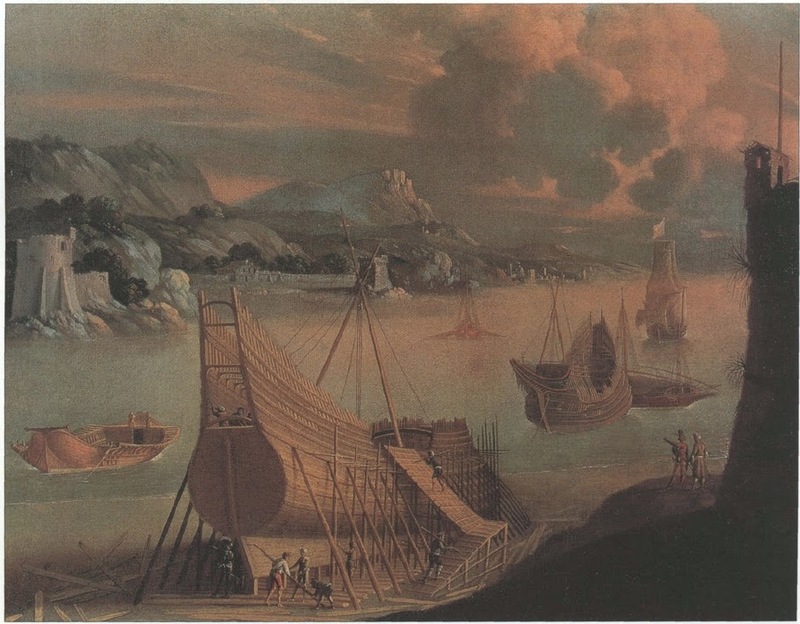 The trading wealth unlocked by the ‘Age of Discoveries’ encouraged the development of naval power to both protect and attack long-distance trade routes. 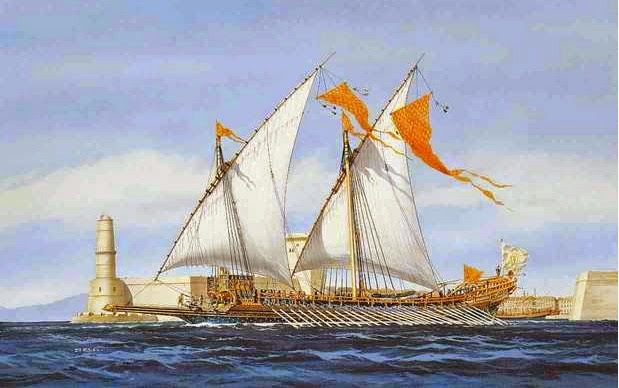 Warships were also the most effective means of attacking distant hostile bases. In European waters, the strategic commitments of many powers involved maritime links, as for example between Spain and both Italy and the Low Countries, or Sweden and the eastern Baltic. Medieval naval warfare had been dominated by boarding, and this continued to play a role. The rising importance of firepower, however, led to a shift towards standoff tactics in which ships did not come into direct contact and boarding became impossible. The Portuguese were the first systematically to exploit heavy guns to fight standoff actions against superior enemies, a development often incorrectly claimed for the English at the time of the Armada. In northern Europe, the shift towards stand-off tactics can be seen by contrasting the Anglo-French war of 1512-14, in which the fleets fought in the Channel in the traditional fashion, with the gunnery duel in which they engaged off Portsmouth in 1545. This shift had important implications for naval battle tactics – though truly effective ways of deploying naval firepower were not found until the next century – and it further encouraged the development of warships primarily as artillery platforms. Forged-iron guns were dangerously unreliable, while the manufacture of large cast-iron weapons was beyond the technological scope of the period, but from mid-century firepower was increased by the development of large guns cast instead from lighter, more durable, and workable ‘brass’ (actually bronze). Simultaneously, improvements in gunpowder increased their range. 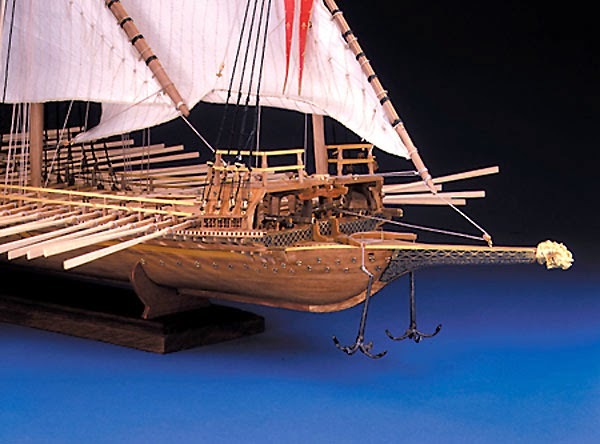 Lateen rigged galleys like this one were the backbone of Louis XIV’s Mediterranean fleet. The “Reale” in the name means that the ship belonged to the king. She carried 8,000 square feet of sail and 427 oarsmen. Because of her low hull, water swamped her deck even in slight seas. 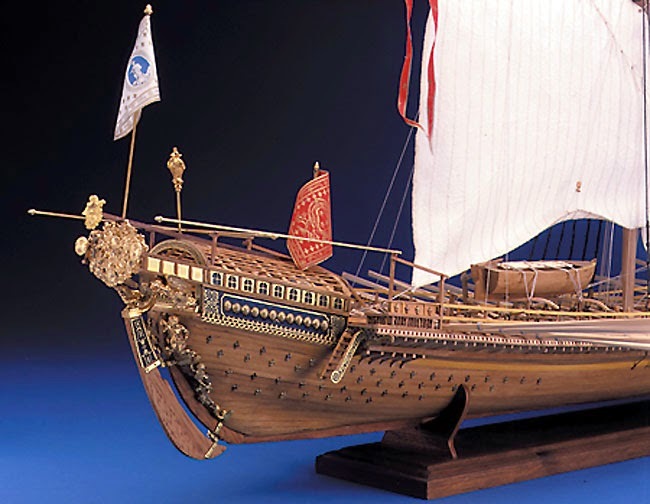 Reale De France model ship kit by Corel features double plank-on-bulkhead construction in beech and walnut with pre-cut wooden parts. Decorated by the famous sculptor Pierre Puget, some of the stern ornaments are displayed in the Musée de la Marine in Paris which holds the original plans and many documents about the ship.Stern ornamentation is gilded cast metal. Other decorations are etched brass. Armament includes five cannon and eleven turned brass falconets. Rigging is supplied in five diameters. 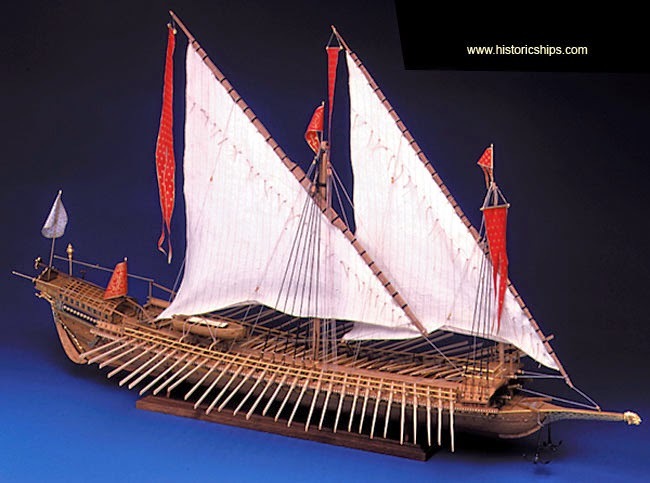 Also included are 59 pre-shaped oars, cloth sails, and silk-screened flags. Thirteen sheets of detailed plans plus instruction book show you how build a magnificent replica that’s almost four feet long.